I received the cigar I am using for this review from Smoke Inn, all reviews are my own. 0/3: About a year ago Smoke Inn released their first in a series of micro blend cigars with the Tatuaje Anarchy. It was a wonderful cigar and I rated it at 94 points, which is a pretty damn good score. 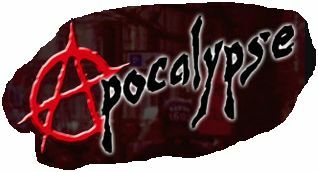 Supposedly, the blend for the Apocalypse is a tweaked version of the Anarchy blend so that the Apocalypse has more concentrated flavors. Or, to put it in layman’s terms: it’s like cracking an egg and getting two yolks. Now, this is a pre-release cigar but, according to the good folks over at Smoke Inn, this is the same cigar everyone else can purchase starting at midnight on Thanksgiving Day. I’m not exactly sure but I’m pretty confident that you will be able to purchase these cigars on this page at the appointed time. Of course, your buying decision is going to solely rest on what my verdict is. Starting off, it is a really cool looking cigar. A perfecto, the chocolate brown wrapper feels like fine grit sandpaper and is very oily. The pigtail is back for this iteration and, to be honest, it doesn’t add anything to the cigar. It actually looks like an impressionist Cinnabon Cinnamon Roll but one I cannot eat. 1/3: The draw gets good once the burn line overcomes the perfecto’s hump. Whereas the flavor profile for the Anarchy was dry and “rugged” this one is warm. Leather, spice, graham cracker and some sweetness. Good mix. 2/3: Gritty, chalky earthiness comes through. The leather, spice and graham cracker flavors are still there with roughly the same intensity but the sweetness has pretty much left. 3/3: During the final third there is a marked change in the flavor profile with a movement towards dark, floral sweetness. Earth is still present but the other flavors have definitely receded into the background. Some fruity flavors as well. 4/3: Medium-full bodied with a good draw and burn, this cigar is pretty good. But I didn’t like it as much as the Anarchy. Still, I think it’s definitely worth a try.